11. I shall henceforth employ “logical quotation”. In other words, if the punctuation isn’t part of the quote, it ain’t going inside the quotation marks. This may bring the fury of the grammar Nazis crashing down on my head. This may cause people to think I’m stupider than I actually are. This may even end some friendships. And worst of all, it leaves a ugly gap between the bottom of the last character inside the quotation marks and the end-of-sentence punctuation outside them. Look at it up there, between the “n” and the period. Ugh. But you know what? It’s right. It increases the precision and accuracy of the written quotation while sacrificing nothing in terms of comprehension. Seriously, can you think of a written sentence you could not understand because somebody pushed the comma or the period outside the quotation mark? Language, whether written or spoken, evolves, and as long as it does so slowly and comprehensibly while improving communication, I think we should welcome it. It wouldn’t be that difficult to adopt– plenty of folks already use logical quotation, though we’ve traditionally called it poor grammar. Maybe those kids who couldn’t quite pin down the rules of punctuation in grade school were just ahead of their time. Now, let me point out an exception to the above resolution. I’m willing to let others think less of me for my usage, but I’m not willing to let others think less of other others for my usage. For instance, when I write college recommendations, I will continue to use the traditional style. If I live long enough to see logical quotation spread wide and afar, accepted by even the most rectally retentive of grammarians, then in those far-off days, I’ll probably employ it in letters of recommendation. In the meantime, my students won’t be denied entrance to any college because it looks like their recommendations were flung together by some half-literate crank who’s trying to change the world one keystroke at a time. English is a beautiful language, and I’d like to keep it that way. I don’t mind having eighty-seven different pronunciations for the letter sequence “ough”, because I’m used to the looks of it. Give me “doughnuts”, not “donuts”. But sometimes the gains in precision and accuracy are too great to be ignored, and so it is here with logical quoting. In today’s tumultuous world, that’s the stand I’m taking. In my “Resolutions for 2013,” #10 was “I shall make a 10th resolution before February 28th, 2013.” I keep forgetting that “before” is not the same as “by,” but here it is anyways. 10. I shall eat breakfast before leaving for work at least three days per work week. Said breakfast shall be more substantial than a mere piece of fruit, or buttered muffin, or rack of lamb. In my “Resolutions for 2013,” #9 was “I shall make a 9th resolution before January 31st, 2013.” I have one that’s been staring me in the face for some time. 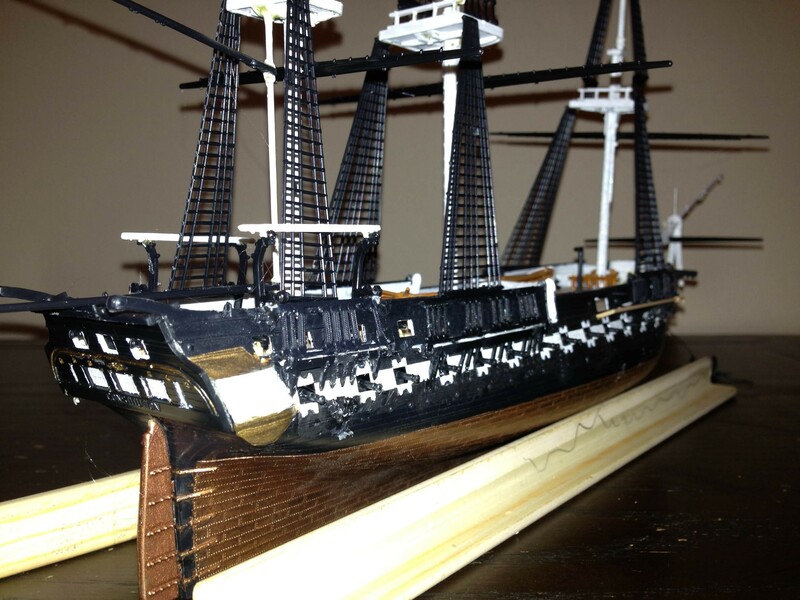 Last summer I bought a plastic model kit of USS Constitution. The kit turned out to be a bit disappointing. The pieces don’t all fit well, the instructions call for painting certain pieces colors that don’t match those in any of the images of the finished product, and the images in the instructions are drawn from one particular angle over and over again instead of whatever angle would be most useful. Furthermore, the guy assembling the whole thing has the fine motor control of a stegosaur as well as no idea what he’s doing; he just likes sketching doodles of frigates, so he figured it might be nice to make a model of one. 9. 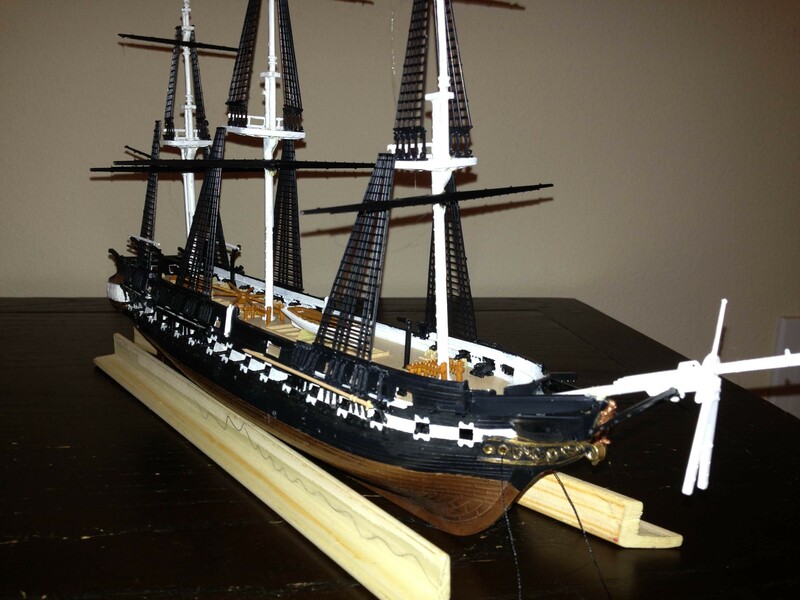 I shall complete the model of the USS Constitution by January 31st, 2013. Today I ran across a three-part (so far) series of blog posts called “Hipsters on Food Stamps.” It’s about the affordability and utility of college in modern America. The author can be a bit blunt and perhaps harsh from time to time, not sure I agreed with it all, but it’s worth a read. Here’s part one. Here’s part two. Here’s part three.